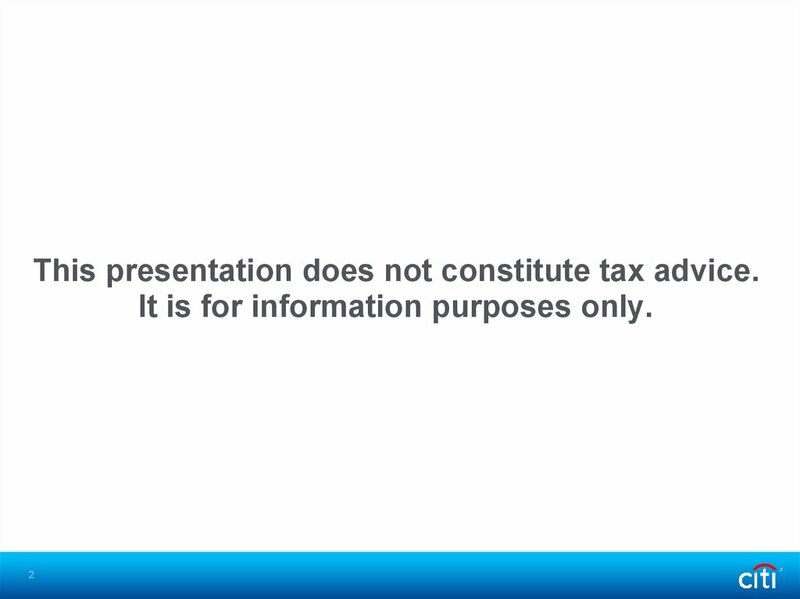 This presentation does not constitute tax advice. 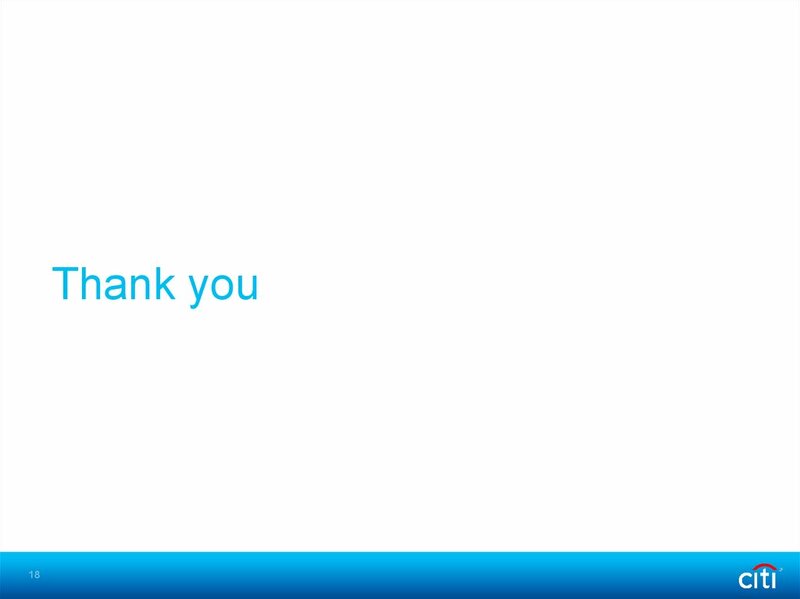 It is for information purposes only. 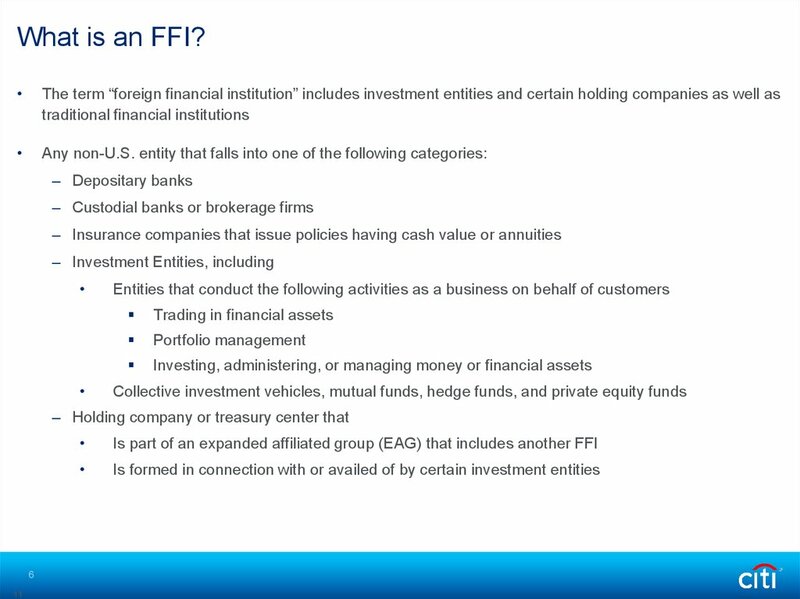 What is Expected of an FFI? 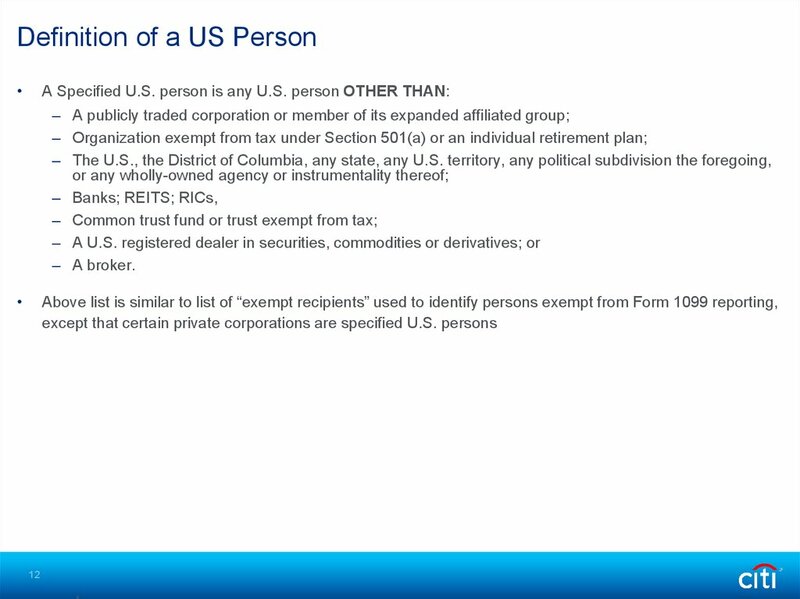 secrecy laws) of U.S. persons or close any U.S. account failing to provide a required waiver. 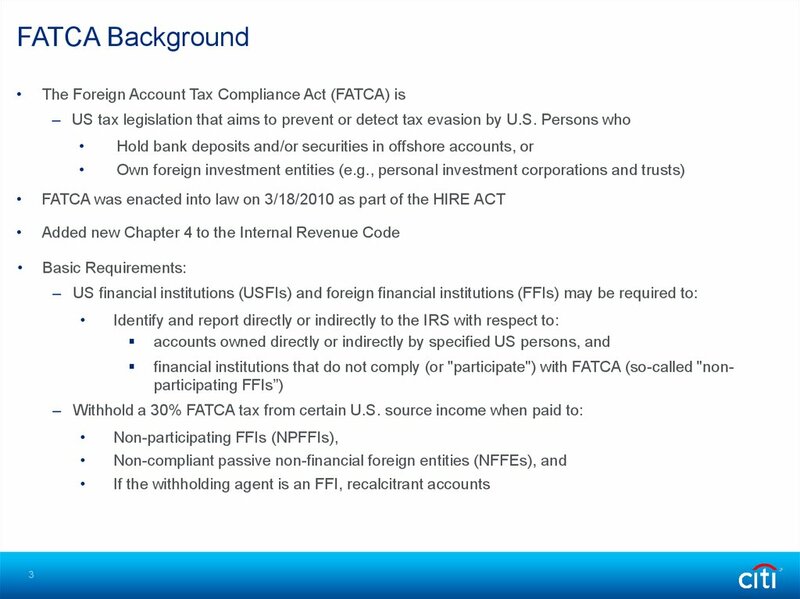 • The IRS can terminate the FFI agreement for any performance failures. 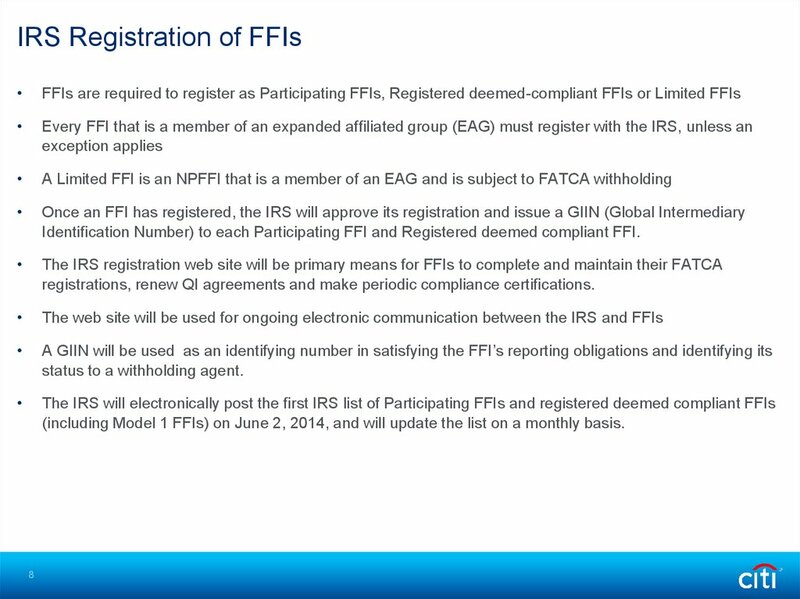 Identification Number) to each Participating FFI and Registered deemed compliant FFI. 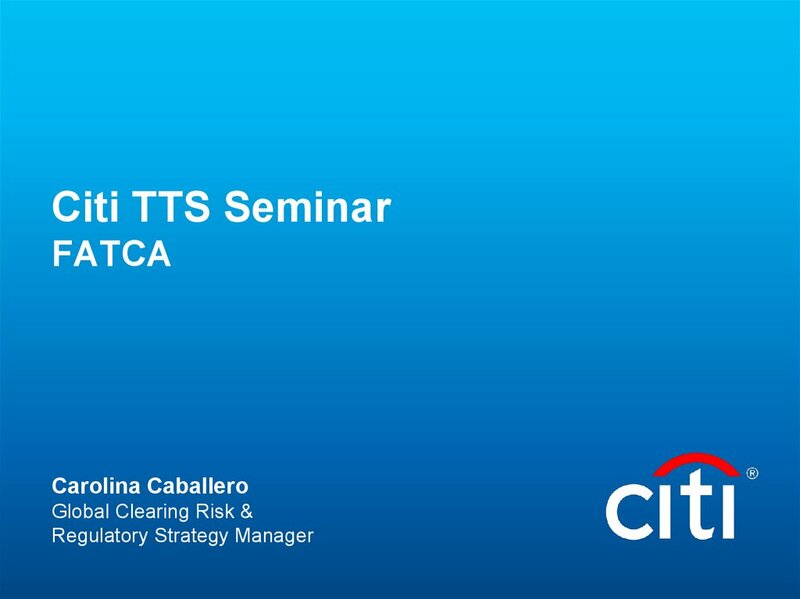 registrations, renew QI agreements and make periodic compliance certifications. 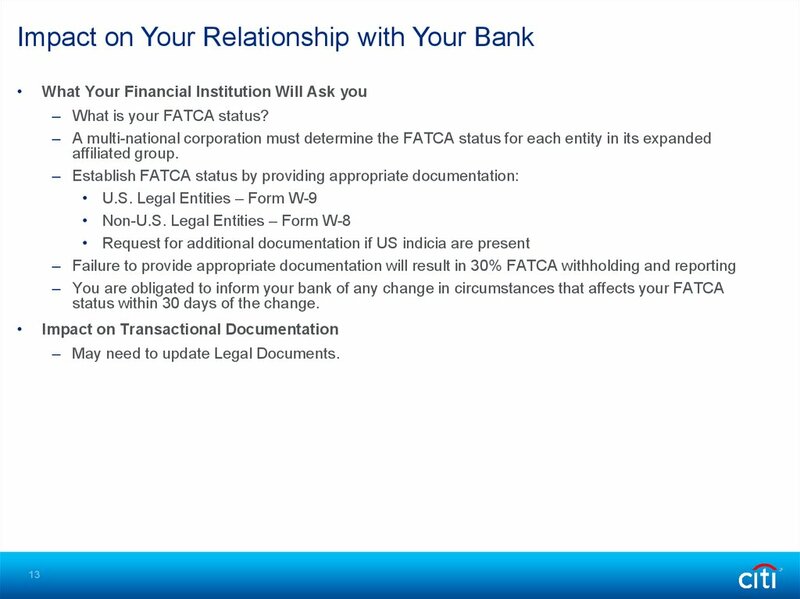 status to a withholding agent. 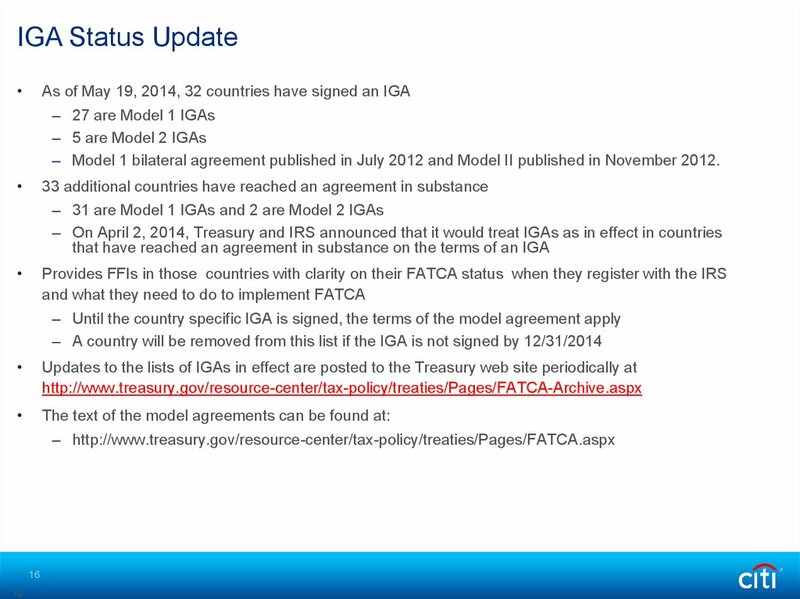 (including Model 1 FFIs) on June 2, 2014, and will update the list on a monthly basis. 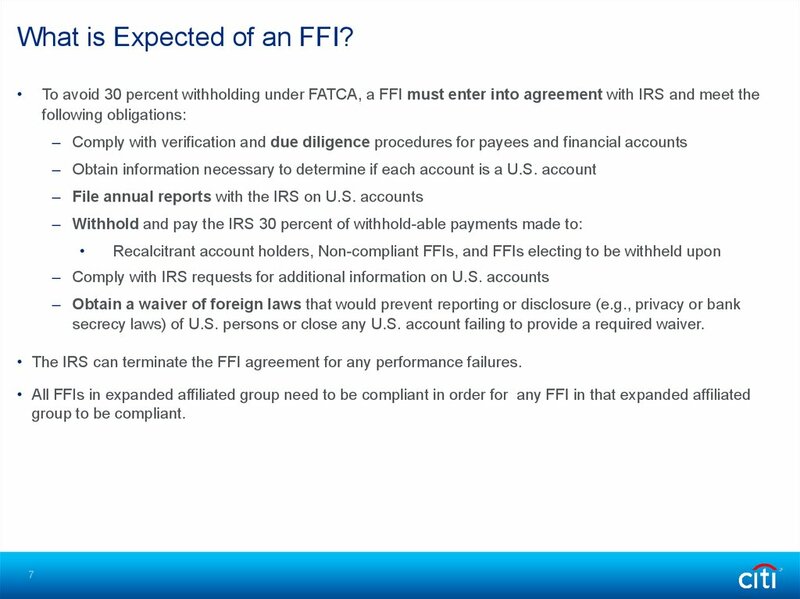 Or later date the FFI enters into an FFI agreement. 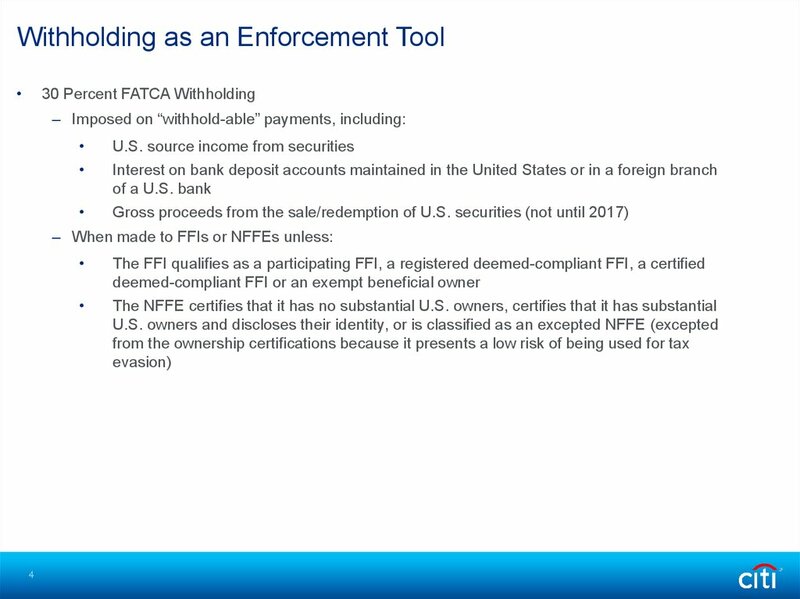 Grandfathered Obligations (those that produce/could produce U.S.
First reporting year for Form 8966 is 2014.
as further amended by Announcement 2014-17 and Notice 2014-33.
withholding must begin even if the due diligence period has not ended. 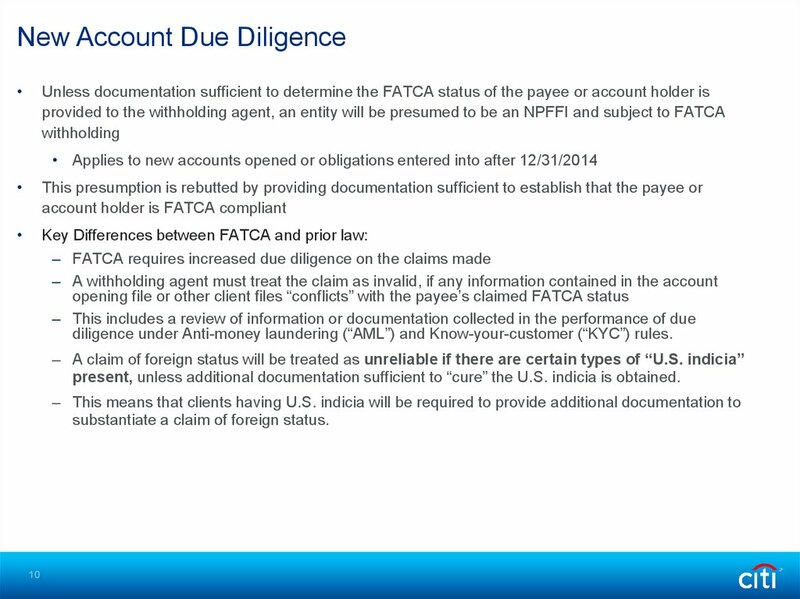 diligence under Anti-money laundering (“AML”) and Know-your-customer (“KYC”) rules. 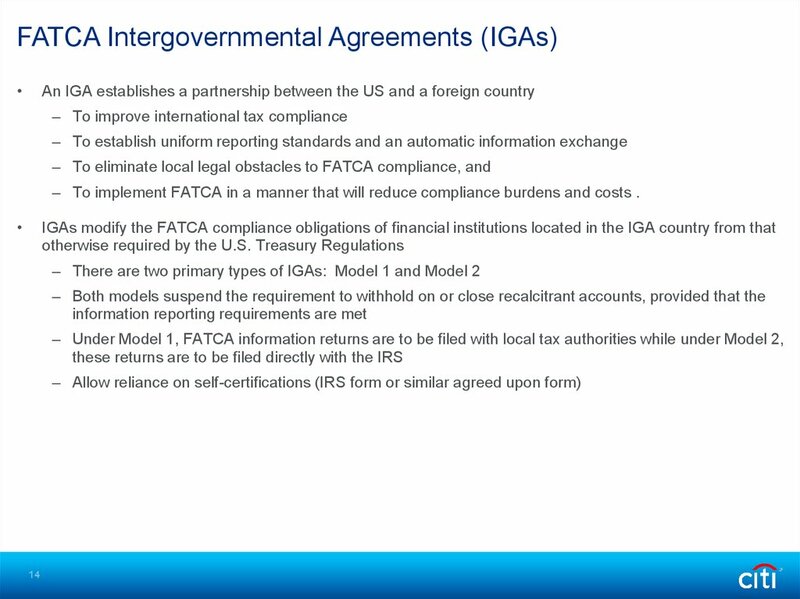 present, unless additional documentation sufficient to “cure” the U.S. indicia is obtained. 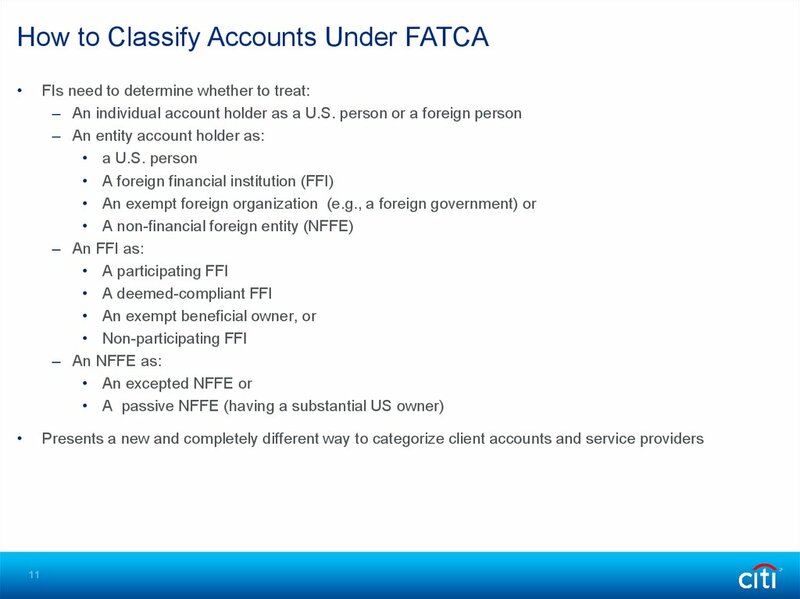 substantiate a claim of foreign status. 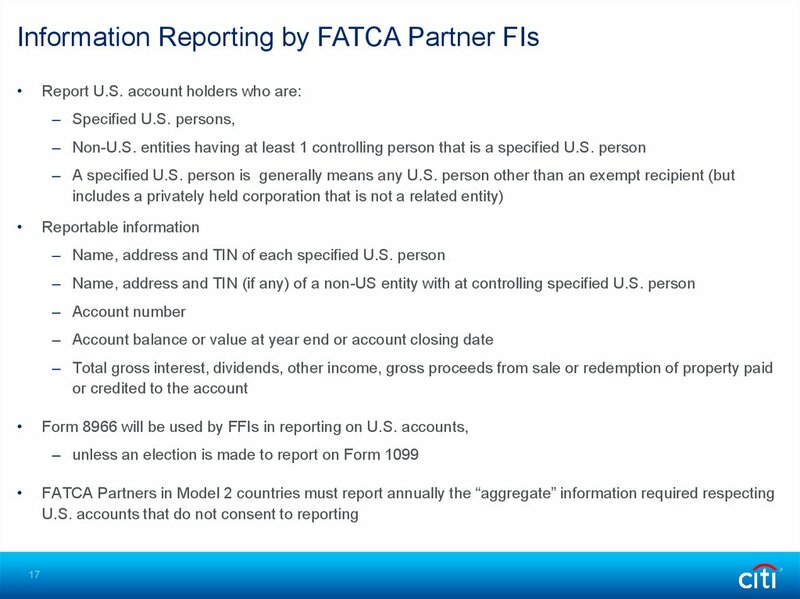 – What is your FATCA status? 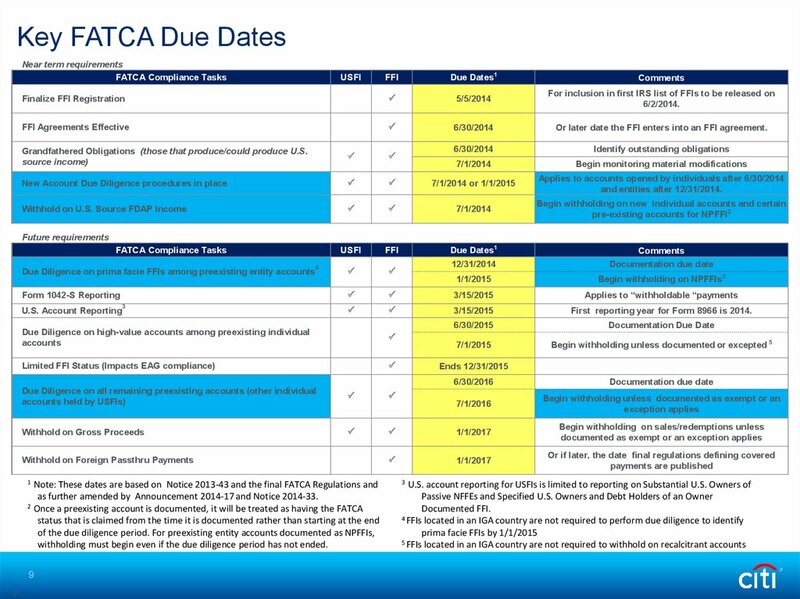 status within 30 days of the change. 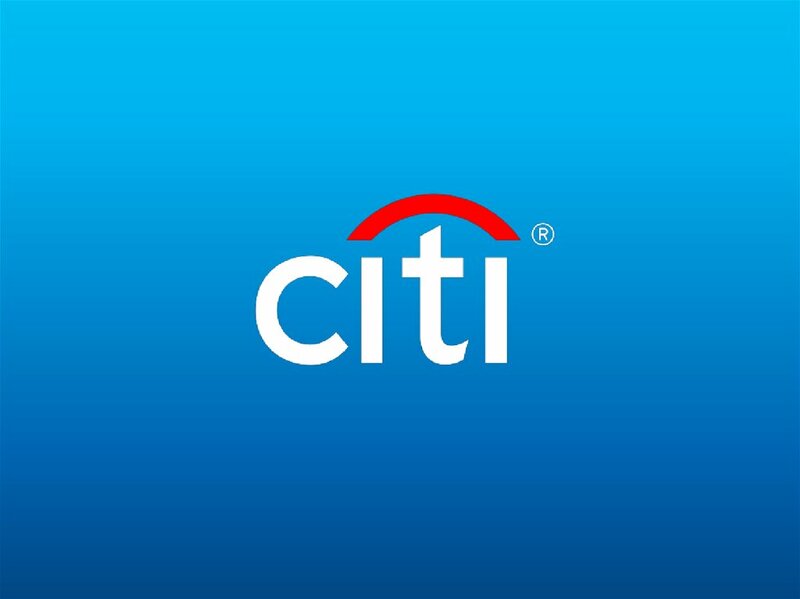 – May need to update Legal Documents. 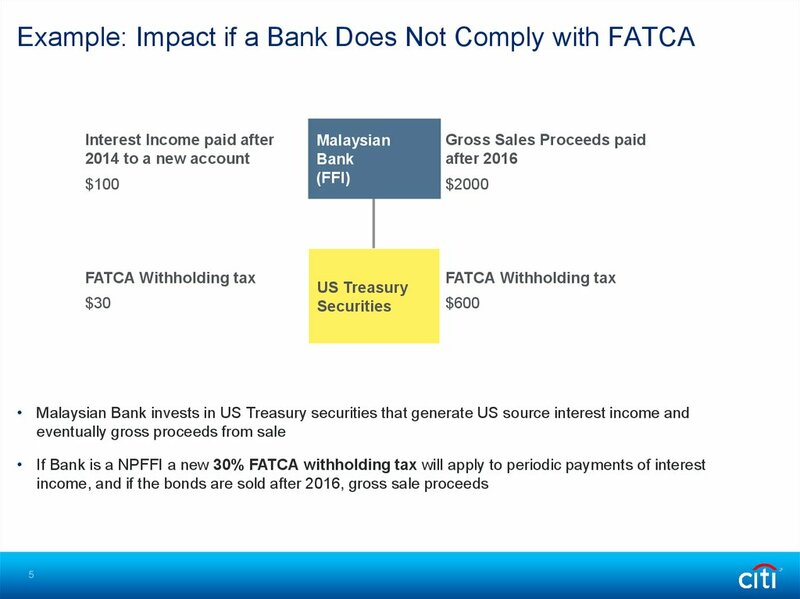 – To implement FATCA in a manner that will reduce compliance burdens and costs . 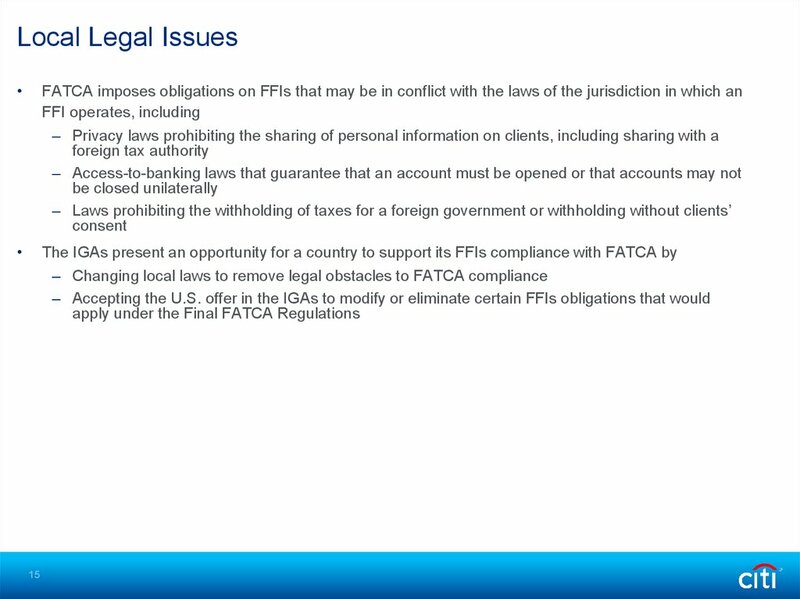 – Model 1 bilateral agreement published in July 2012 and Model II published in November 2012.